for you, Yahweh, have not forsaken those who seek you. When we know who God is, it is easy to trust in Him. When we are convinced that He is loving and kind and gentle, we will be able to risk again and entrust our hearts fully to Him. If we are not yet convinced of His goodness, we will struggle to trust Him. I believe that giving our Father the gift of our trust is the greatest gift that we can give Him. When we trust Him, we lower our defenses and open our hearts fully to Him. When we trust Him, we will not lean to our own understanding (Proverbs 3:5-6) but completely yield to His leading in our life. I believe when we begin to trust God in a simple childlike way, it moves His heart like nothing else that we can do. 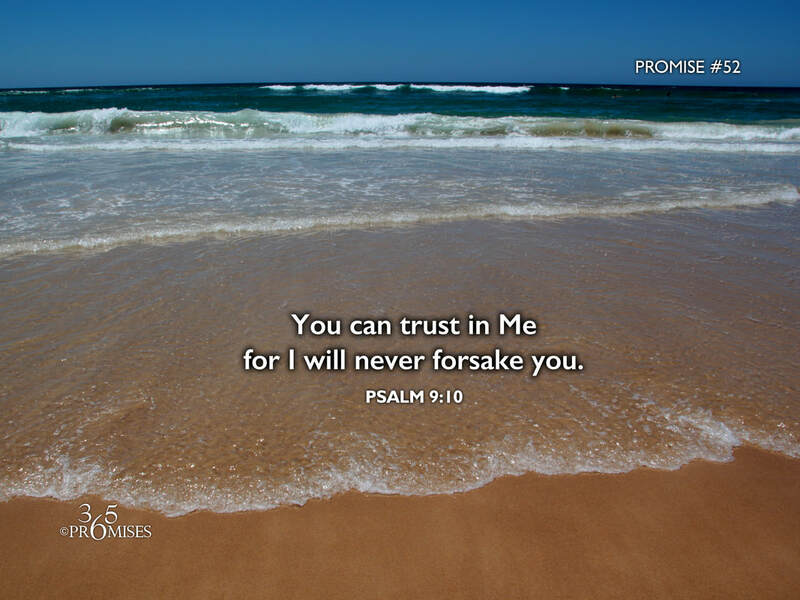 In today's promise, we read that our God and Father will never, ever forsake those who trust in Him. He is unwavering in His commitment to us. He will never leave us or forsake us. For those of us who struggle with the fear of being abandoned, I pray that the reality of our Papa's goodness and closeness would drive all fear out of our hearts (1 John 4:18) so that we can fully trust Him.